Wake Forest soon will break ground on the Sutton Sports Performance Center and the Basketball Player Development Center thanks to the continued generosity of Ben Sutton (’80, JD ’83, P ’14, P ’16 and P ’19). The construction of these two buildings is a $50 million project — all of which has been pledged by athletic donors like Sutton. Sutton’s most recent gift of $15 million has made it possible to build a state-of-the-art facility designed to improve the overall competitiveness of Demon Deacon student-athletes. One of Wake Forest’s most ardent benefactors, Sutton’s commitment to Wake Forest includes nearly $27 million in lifetime giving. Preliminary site work on the facilities begins this month, and a ceremonial groundbreaking will be held in spring 2017. Enhanced sports medicine and training resources, including an expanded hydrotherapy area. Easy access to basketball sports medicine facilities, including a cryotherapy chamber. The groundbreaking of the Sutton Sports Performance Center and Basketball Player Development Center comes as Wake Forest recently announced it has raised more than $625 million for students, faculty, and enhancements to the Reynolda Campus through Wake Will: The Campaign for Wake Forest. Having surpassed its initial fundraising goal of $600 million two years ahead of schedule, Wake Forest will build on support from alumni, parents and friends to extend the campaign to 2020 to raise $1 billion through Wake Will Lead. As the “mic man” who led cheers at home football games in 1978 and 1979, Sutton was a widely recognized voice in Wake Forest sports. Today he continues to promote Demon Deacons athletics as Chairman emeritus of IMG College, the largest collegiate sports marketing company in the nation. After graduating from Wake Forest University and the Wake Forest School of Law, Sutton began his career at his alma mater, drawing national attention for initiating the ACC collective marketing effort and for developing one of the most proactive sports marketing programs in the nation. In 1992, Sutton founded ISP Sports. Over the next 18 years, he grew ISP from its first media rights partnership with Wake Forest to more than 65 NCAA colleges and conferences. With this dramatic growth, ISP became the nation’s leader in collegiate sports marketing and Sutton’s innovations in cultivating and growing the value of collegiate sports multi-media assets became commonplace in the industry. ISP also developed the largest companies in stadium comfort seating and primary market ticketing in the college or professional sports marketplaces with more than 150 university partners. In 2010, Sutton led the acquisition of ISP Sports by IMG. The merger combined the nation’s largest collegiate sports marketing company in ISP, with a strong stable of collegiate brands in IMG’s existing college intellectual property business to form not only the largest collegiate sports marketing company in America, but one of the biggest companies in all of sports business worldwide. In 2014, he helped lead the effort to sell IMG to Silver Lake Capital Partners and WME for almost $2.4 billion. 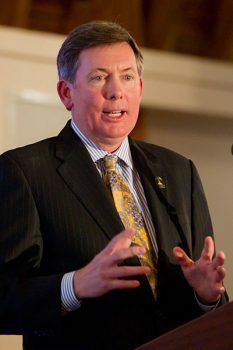 Sutton moderates a discussion on college athletics held by Wake Forest. Riding onto the field behind the Demon Deacon on his motorcycle. Celebrating Sutton's gift to the University for the Sutton Wellness and Recreation Center. 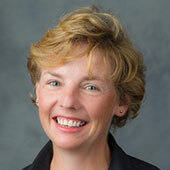 Sutton receives Wake Forest University's Distinguished Alumni Awards. In addition to being one of the University’s most distinguished alumni, Sutton is one of Wake Forest’s most generous donors. In 2012, his family made the lead gift of $5 million for the Sutton Wellness & Recreation Center, an addition to the historic W.N. Reynolds Gymnasium to support campus-wide wellbeing with 46,000 square feet of flexible space for fitness programming and a venue for both academic and social gatherings that opened earlier this year. He also established the Ben C. Sutton Scholarship in his father’s name to benefit students from North Carolina. Sutton serves on numerous boards, including those for Wake Forest University, Ronald Reagan Foundation, U.S. Olympic Committee foundation, National Football Foundation and Naismith Memorial Basketball Hall of Fame. The Sutton family lives in Winston-Salem, N.C., and both children have attended or currently attend Wake Forest.